NEW 1990-92 Chevy Camaro V8 Tachometer Circuit Board. Pre-Calibrated. 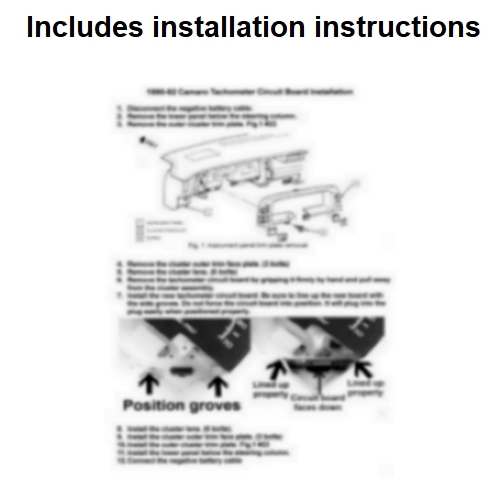 Easy to install, Plug-in installation. LED indicators. Red LED indicates the board is powered. Green LED indicates the board is receiving an RPM signal. LED indicators show when the circuit board is receiving power, and when a RPM signal is being received. 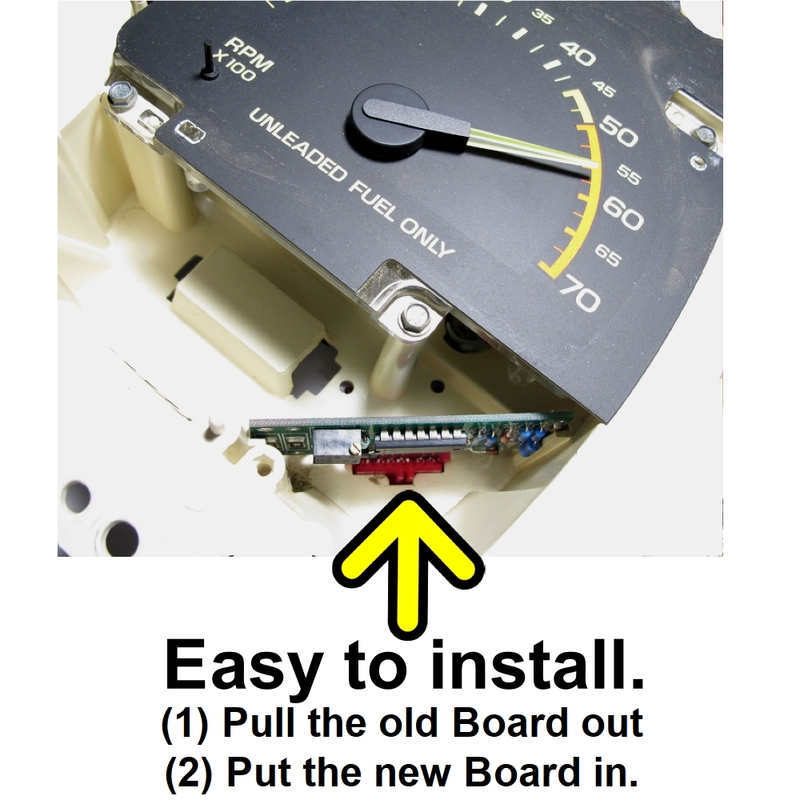 This can be useful when diagnosing gauge cluster and gauge problems. I wasn't sure if the LED thing would make much difference. It actually did helps us find the back side plug had some corrosion and intermittent contact issues. Quite happy with the product, instructions and fast shipping.